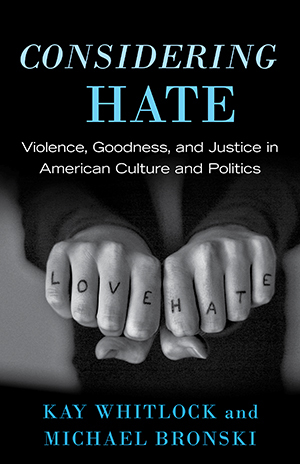 I recently read Considering Hate: Violence, Goodness, and Justice in American Culture and Politics by Kay Whitlock and Michael Bronski (Boston: Beacon Press, 2015.). It is an accessible reflection on hate as it appears in our politics as well as our pop culture (including lots of talk about The Night of the Hunter, a film I think you like?). It also includes a list of further resources that would make this book a great choice for a small group that wants to discuss hate, violence, goodness, and justice. So, how do we change those structures? How can art and film and fiction help us?